In addition to being a bit intimidating, the coffee shop can also be a bit overpriced, but with a few basic lessons and a couple pieces of brewing equipment, you’ll be well on your way to transforming your 1st Lake kitchen into the best java joint in the neighborhood! Robusta coffee beans tend to be used in large-scale commercial brews, and they’re considered to have a more acidic taste and higher caffeine levels. Arabica beans tend to have more diverse flavor notes, but they’re difficult to grow, which increases the demand and price of this superior bean. If you buy your beans from a local coffee shop, you’re most likely buying Arabica beans. Darker beans mean a stronger “roasted” flavor profile. The beans you buy come in a range of caramel to chocolatey brown colors, but they don’t start off that way. The original green colored beans are roasted with a dry heat, but their roasting times play an important role in the coffee’s brewed flavor. The three main categories are light, medium, and dark. Light roasts retain a larger amount of the bean’s original flavor. They tend to be a little more acidic and feature brighter, sharper tastes and little to no “roasted” notes. Medium roasts have a darker color, an oily appearance, and tend to have a balance between the roasting effects and the bean’s original flavor. Medium beans tend to be the most popular of the three categories. Dark roasts focus heavily on the flavors derived from the roasting process. The bean’s original flavors are almost completely overcome by the roast, so your coffee will have a powerful smoky taste. Dark roasts are typically used in espresso drinks, like lattes and macchiatos. If you’re buying roasted beans, you can either grind the beans at home with a hand grinder or electric grinder, or you can bring your bag to a grocery store for grinding. A lot of coffee shops will grind the beans they sell to you before you leave the store. If you’re grinding your beans at home, it’s best to grind only what you will need to brew for that day and store the rest away. There are two techniques that have grown in popularity over the past few years: pour over brewing and immersion brewing. You can achieve both of these at home, but you will need some equipment to properly brew using these techniques. The pour over technique retains a lot of the grind’s original flavors. Pour over coffee can be achieved using a coffee-specific glass pitcher, a porcelain dripper, a coffee filter, a kettle of hot water, and a kitchen scale. The porcelain dripper can be placed on top of either the glass pitcher or the coffee mug you intend to drink from. We like Blue Bottle Coffee’s easy-to-follow guide to the perfect pour over coffee. Immersion coffee is most commonly associated with the French press or AeroPress. You can find French press and AeroPress coffee makers in home goods stores across the Greater New Orleans area. French press style is one of the easiest brewing styles, and unlike the single-serve pour over technique, it allows you to make larger amounts at one time. Follow The Kitchn’s guide to French press brewing here. Im-press your friends with a handmade pot of divine French press coffee. Not only will making coffee at home save you money, it will help keep our environment clean of plastic cups and harmful plastic straws. If you’re interested in learning more about the complex range of coffee flavors and roasting styles, you can visit a local coffee shop for one of their free “cupping” lessons. This is a great way to find the flavor profile that suits your tastes and puts you on the fast track to home-brewing glory. 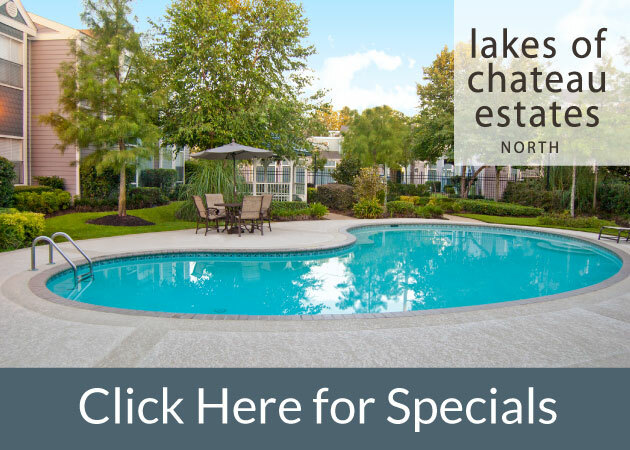 Our brand-new luxury living community in Elmwood, Clearwater Creek Premier, is loaded with state-of-the-art features and apartment amenities you won’t find anywhere else in the Greater New Orleans Area. One of our goals for this new development was to provide energy efficient options in every single one of Clearwater Creek Premier’s living spaces. At the center of this effort are the electric convection range and double-ovens located in the kitchen of each residence. The range uses radiant heating elements on its stovetop, which is significantly more energy efficient than its generic electric coil counterparts. Radiant coils are similar to traditional coil burners, but instead of protruding from the top of the range, they sit under a smooth and flat ceramic surface. Heat is conserved better under the ceramic top, which allows for faster heating times and higher heat outputs. Plus, it’s easier to clean! Four heating elements, a warming element, and two ovens? Now we’re cookin’! Just under the range’s sleek stove are two, that’s right, two ovens! The ovens on this range utilize a dual element baking technique, which combines the efforts of the baking coil and the broiling coil for comprehensive cooking. The smaller top oven is ideal for warming or short cooking times, while the larger, convection-style oven offers delay bake and audible preheating capabilities. If you’re ready to enjoy all of the perks of your Clearwater Creek Premier stovetop and range, put on your chef’s hat and try your hand at a few of our favorite seasonal recipes below! Reserve 1/4 cup corn. Bring remaining corn and milk to boil in medium saucepan. Cover; remove from heat. Let stand 10 minutes. Puree mixture in blender. Add clam juice, 3 tablespoons green onions, and 1 teaspoon ginger; puree again until almost smooth. Return puree to saucepan; bring to simmer. Mix in 1 1/2 teaspoons lemon juice. Season with salt and pepper. Melt butter in small skillet over medium heat. Add reserved 1/4 cup corn; sauté 1 minute. Add crab, 1 tablespoon green onions, 1 teaspoon ginger, and 3 teaspoons lemon juice; stir just until warm. Season with salt and pepper. Divide soup among bowls; mound crab mixture in center. Preheat oven to 425°. Combine all ingredients in a medium bowl. Transfer mixture to a lightly greased 17- x 12-inch jelly-roll pan. Bake 45 to 50 minutes or until crispy and dry, stirring every 10 minutes. Let cool 20 minutes. We can’t think of a better place to cook up some king cakes! Once bubbles have developed on the surface of the milk and it begins to foam, whisk in the butter, eggs, vanilla, and lemon zest. Add the remaining flour, cinnamon, and nutmeg and fold the dry ingredients into the wet ingredients with a large rubber spatula. Once the cake has cooled, spread the icing over the top of the cake and sprinkle with purple, green, and gold decorative sugars while the icing is still wet. Tuck the fève or plastic baby into the underside of the cake and, using a spatula, slide the cake onto a platter. Tour Clearwater Creek Premier Today! If you’re looking to make moves in 2018, consider visiting Clearwater Creek Premier today! 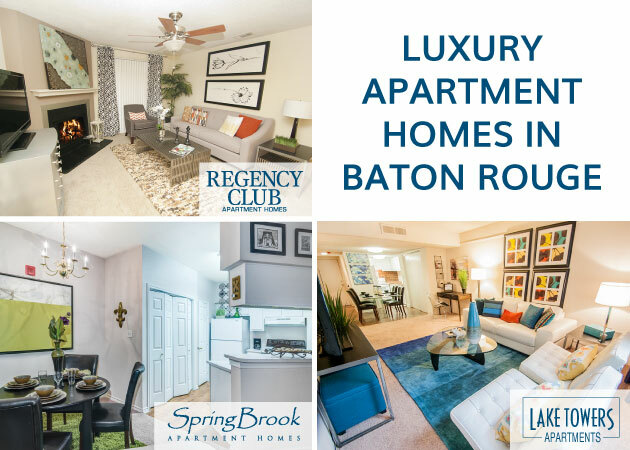 Not only will you enjoy the cost-saving benefits of our kitchen appliances, but you’ll gain access to a multitude of other living amenities that will make you feel like you’re living in a luxury resort. Inexpensive Homemade Holiday Gifts That Will Surely Delight! Whether you’re hosting your loved ones in your 1st Lake residence or traveling to celebrate the holiday, there’s no better way to show them how much you care than with a thoughtfully crafted homemade gift. Homemade gifts can mean more to your loved ones, too. You put a lot of effort into creating the perfect gift exclusively for them! Nothing is more loving than that. Even with a short amount of time left, there are still plenty of quick and affordable homemade gift options you can create without worrying. Some of our favorite homemaking websites offer a plethora of choices and instructions for these gifts, but we’re going to highlight a few of our favorites to get you started on your crafts. Good Housekeeping caught our DIY-eye with this easy, thoughtful, and tasty gift idea for the coffee drinker on your list. “Coffee Mug Mixers” are created from vintage silver spoons and baking goods. Head to an area thrift or antique store, or hunt down a garage sale, and find some intricately designed antique spoons for cheap. Then, head down to the grocery store to pick up an assortment of baking sweets, like chocolate, crushed nuts, and candy. Melt your mixed sweets onto the spoons, let them dry, and wrap them in clear packages. Your coffee-loving visitor might just dip one into his or her mug immediately after opening this delightful and thoughtful treat! If they are big fans of rustic-themed home makeover shows and decorate with reclaimed wood and metal accent items, shower them with a homemade wood gift. Both The Nest and Country Living Magazine have a great collection of homemade wood gift ideas to show them how much you notice their personal interests. We love the idea of wood-burned labels on cutting boards and cooking utensils. You can add your personal signature to these items with a wood burner from your local craft store. That way every time they use these items, they’ll be reminded of you. This homemade gift option might require a little more effort, but for the loved ones on your list with a newborn, it will mean the world. Your local craft store will have everything you need to create this precious hot air balloon-themed mobile for their baby’s bedroom. Craftiness is Not Optional provides a great step-by-step visual guide to building this homemade gift with ease. If this seems too difficult, Craftiness is Not Optional has other easier new parent gifts. We all know someone who spends their free time soaking in hot bubble baths and pampering themselves with sugar scrubs, pedicures, and moisture-rich lotions. Show them you care with your own self-care creations! There are do-it-yourself soap recipes, easy sweet or floral-scented sugar scrub formulas, and nurturing lotion how-to’s across the Internet! One of our favorites comes from PopSugar. Their DIY Spa Kit Trio features a scrub, a body butter, and a foot soak. We are not going to lie, this one you might want to keep for yourself! These are just a few of the countless ways to make the holidays mean more this year. Do you have go-to homemade gifts you’ve perfected for the big day? Share your tips with our social communities and help your fellow 1st Lake residents make the ideal gift to go under the tree. It’s no secret Jefferson Parish’s Elmwood neighborhood is a shopping destination for residents across the Greater New Orleans Area. Its large shopping center has a great selection of big-box stores, its movie theater boasts 20 screens, and its area attractions include an indoor trampoline park and laser tag venue. In addition to an abundance of amenities, Elmwood is an ideal place for those looking for a quiet and affordable alternative to downtown New Orleans living. Living in Elmwood makes shopping a breeze. Elmwood Shopping Center is a one-stop shop for all of the items on your shopping list. In one trip, you can find new shoes at DSW, find a new dining table at World Market, find a television at Best Buy, and more! Instead of having to drive all over town to get the items you need, you can make one trip to one central location and then head right on home! It will save you gas, time, and a lot of patience. Park your car and find everything you need in one place! Elmwood’s little corner of the Mississippi River is a quaint residential area with quick access to paved bike paths, public parks, and recreational spaces. La Salle Park is a well-kept multi-purpose recreational space for sports and nature explorations. Its nature boardwalk winds through native cypress trees, making it a scenic and calming spot for outdoor enthusiasts. If you’re looking for some two-wheeled fun, the paved levee bike path is a great way to enjoy the action on the river while you get some exercise in. Pack a blanket and some snacks for a riverside picnic, or wind your way over to Oak Street on the outskirts of New Orleans for some good local eats and live music. Elmwood might be a shopping haven, but it’s also a secluded treasure. Many of our 1st Lake properties sit tucked away on peaceful, open green areas which provide a feeling of escape and relaxation. Bella Ridge is a blissful haven for easy living in Elmwood. You can unwind poolside at Bella Ridge without the distracting sounds of blaring car horns, screeching sirens, or chatty tourists. You can share a casual and fun afternoon with your dog and your neighbors’ dogs in Clearwater Creek Premier’s gated pet park. You can go for an easy evening stroll alongside the flowing streams of Palmetto Creek. Every one of our Elmwood locations is designed to make you feel like you’re living in a remote luxury retreat. If you’re considering a move, consider Elmwood as your new neighborhood. With great shopping, great outdoor spaces, and great living communities, you’ll find it easy to settle in and make yourself at home in Elmwood. Move? In just three days?! With the right amount of pre-planning, it is absolutely possible to move in just three short days. It will take a lot of thought and strategy, but you will feel much better having a plan of action over just tossing your belongings into garbage bags and hoping for the best. With these organizational ideas, moving will be stress-free. Here are our tips for a better packing and moving experience. Before you do anything, write down everything that needs to be done. If you’re planning on using movers, start with some research! Make a list of local and regional moving companies and use review sites to help determine if they’re a good fit for your needs. If you’re looking at a local moving company, Realtor.com suggests visiting their business in person, which allows you to get a true feel for their standards and capabilities. Your next list? Packing items. It’s absolutely worth having more boxes, bubble wrap, and rolls of tape than you need. Even if you don’t use movers, they’re a great resource for moving supplies. You can get boxes from personal storage facilities, as well. It’s also worth asking your friends and family if they have boxes and bins they’d be willing to part ways with for your move. Take to Facebook and see who will lend you some goods. That will save you money and probably free up some space for them, too! So, what goes where? You already know what the movers are going to take, but where are they going to put everything? It’s best to hash out what furniture goes where before they come to collect, otherwise you’ll spend a few more days moving a few things yourself. Mapping it out also helps you visualize where your smaller items might live as well. Don’t empty those dresser drawers! You’ll just have to refill them again once you’re moved in. Take the items you will need during your unpacking days and fill in the empty spaces with items you can temporarily part with. If you’re looking to save on cushioned packing materials, we suggest using blankets, towels, scarves and other soft fabric materials to wrap fragile items. It’s a “two birds with one stone” way to pack a lot of your possessions at once. Designate a room in your current space for packing. Bring all of your empty cardboard boxes, plastic bins, tape and markers into one room. It will help you stay organized and allow you to keep track of everything you have left to pack with. Instead of scrambling around your space in search of that marker you put somewhere, having them stored in one room will ease the packing process. Use that marker to clearly label your boxes and bins on each side and make sure you’re explicit about breakable materials. It’ll keep hired movers from carelessly destroying your fragile items. This might be the hardest part of your move. A lot of people dread asking their loved ones to help them move. It’s a lot of tough work, and it takes a long time. We suggest thanking them with a hearty post-move meal and a meaningful note of gratitude. Nothing says “moving day” quite like delivery pizza and soda! They’ll appreciate your immediate appreciation for their help. Plus, the move will be a lot easier for everyone if you follow the steps above!